Mayor Rahm Emanuel, the Department of Cultural Affairs and Special Eventst (DCASE) and the League of Chicago Theatres are pleased to announce “It’s Showtime, Chicago” – a kickoff event for the Year of Chicago Theatre! Coinciding with Chicago Theatre Week, the FREE admission, building-wide celebration invites everyone – from the curious to seasoned theatre-goers – for an inspiring and surprising look at the “fearless soul” of our city – Chicago’s theatre community. Participating artists and theatre companies including The Second City, Walkabout Theater Company, Free Street Theater, Chicago Youth TheatreFest, Chicago Children's Choir and many others will present interactive performances, live music, youth project showcases and more. The Year of Chicago Theater is a citywide, year-long focus on theatre and is the first of its kind in the U.S. The event will also be held in conjunction with the 7th annual Chicago Theatre Week, taking place February 7–17. 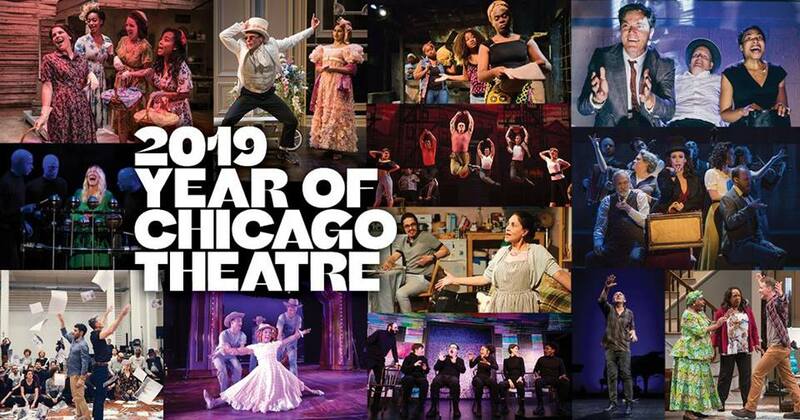 Presented by the League of Chicago Theaters in partnership with Choose Chicago, Chicago Theatre Week offers discounted tickets to more than 100 productions and invites residents and visitors to sample the extraordinary range of theatrical offerings in Chicago. For details, visit www.ChicagoTheatreWeek.com. ???? ?????-??????? ?, ???? ?????-??????? ?????? ?? ???????? ?????????? ??????????? ?????? ??? ??? ?, ??????? ?? ????????? ?? ??? ???????? ?????? ?? ?????? ?, said Mayor Emanuel. ??? ???? ?? ??????? ??????? ?? ? ??????????? ?? ??? ???????? ????? ?, ???????? ?, ????????? ??? ????????? ?????????? ??? ???? ??? ???????? ???? ???? ?????????? ?? ????????? ????????? ???? ?????? ??? ????? ??? ????? ???? ?? ????. Since the Year of Chicago Theatre was announced in September, plans are taking shape for theatre performances and special events for the public at hundreds of cultural venues, theaters, parks and neighborhood locations throughout the city. DCASE will present theatre activations and a theatre-themed Film Series throughout the summer at Millennium Park and theatre-themed public programs and exhibitions at the Chicago Cultural Center. Additionally, theatre-themed events will take place in all 77 community areas, as part of the Chicago Park District’s ‘Night Out in the Parks’ series.